Enjoy the best inspirational, motivational, positive, funny and famous quotes by Anna Mae Aquash. Use words and picture quotations to push forward and inspire you keep going in life! I'm Indian all the way and always will be. 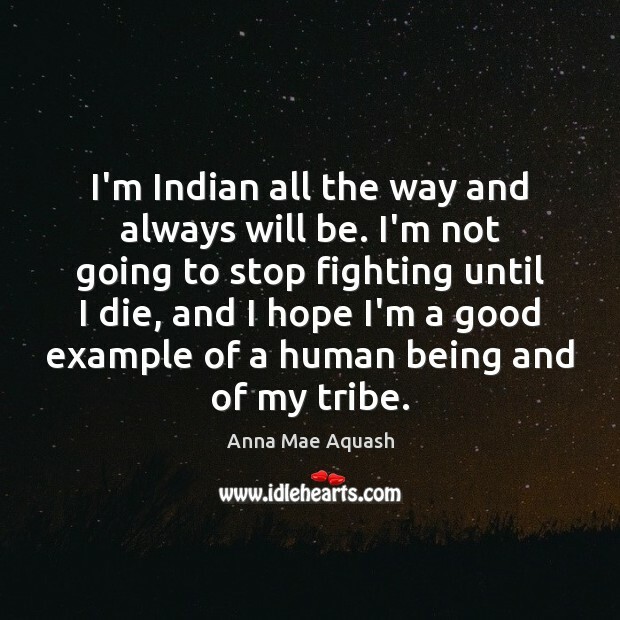 I'm not going to stop fighting until I die, and I hope I'm a good example of a human being and of my tribe.